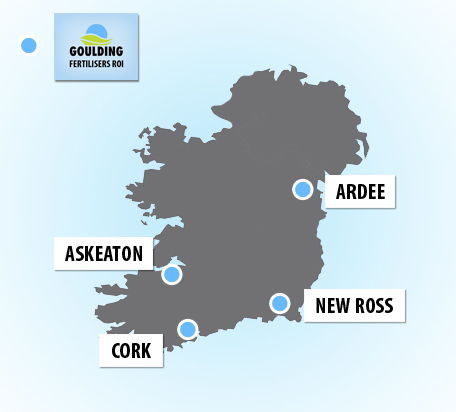 Goulding Fertilisers manufacture and distribute a complete range of NPK fertilisers, trace element fertilisers, granulated lime and de-icing salt in Ireland. We supply mainline and customised blended products to suit local nutrient requirements from our four production facilities in Askeaton, Cork, New Ross and Ardee. Goulding Fertilisers advise on the benefits and uses of NPK fertilisers fortified with trace elements and innovative products such as Avail and Granulated Lime. At Gouldings we pride ourselves in offering quality products and service backed up by our management and technical teams as well as our full time laboratory. John McGrath – B.Agr.Sc., M.B.A.